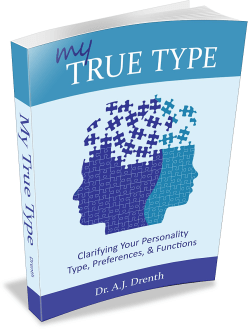 How the ENFP presents and functions in relationships depends in large part on his or her stage of personality type development. Early in their development, ENFPs struggle to negotiate a balance between their dominant function, Extraverted Intuition (Ne), and their inferior function, Introverted Sensing (Si). This produces a curious admixture of openness and unconventionality (Ne), on the hand, and a concern for the familiar and traditional (Si), on the other. I have known several ENFPs, for instance, who continue to associate with the religious tradition of their youth (Si), subscribing to its tenets and even regularly attending services. Behaviorally, however, they seem to live by their own rules, according to the whims and ways of their Ne. These sorts of dominant-inferior struggles can engender confusion with regard to what they want out of life and out of their relationships. Namely, do they want a more traditional lifestyle and relationship or a less conventional one? Like the INFP, ENFPs love to travel. Their Ne-Fi combination relishes the opportunity to compare and experience diverse cultures. Perhaps more importantly, as they go about their travels, there is a sense in which they hope to find themselves. They want to figure out who they are, what they value, what they should be doing, where they might want to live, as well as their preferred type of partner and relationship. One way in which ENFPs differ from INFPs, however, is they are slower to discern their own personal values. This is due to the fact that their Introverted Feeling (Fi) function is in the auxiliary rather than dominant position in their functional stack. Hence, less mature ENFPs can often seem rather fickle or hypocritical. They may give lip service to certain Si values, while living in a way that seems to contradict those values. This can of course be difficult for their prospective partners, who may feel confused about who the ENFP really is. In some cases, such confusion is justified, since the ENFP may herself be experiencing ambivalence with respect to her identity. We should be careful, however, not to prematurely fault or criticize young ENFPs for such discrepancies. After all, as extraverted Perceivers, their primary mode of operation is one of adaptation. Moreover, developing a firm identity, especially early in life, should, at least in theory, be of greater concern for IP types, whose dominant function is one of inner Judging (Fi or Ti). With that said, there is still a sense in which ENFPs’ Ne-Si struggles involve a search for identity, working to reconcile their past experiences (Si) with future possibilities (Ne). 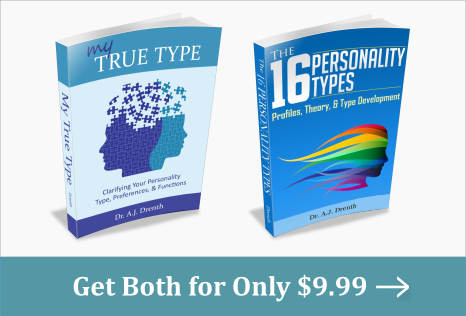 Concerns about finding a suitable career or relationship can also tend to push the identity issue for ENFPs, which may unfortunately hinder their natural course of type development. Ideally, ENFPs would exercise patience in young adulthood, allowing their Fi values to emerge over time. With exposure to different cultures and ideas, they can gradually use and develop their Fi, clarifying their identity and preferred course in life. The last thing relationship-minded ENFPs need is to enter into marriage prematurely. Unfortunately, as is true of other types, ENFPs are prone to taking apparent short-cuts to wholeness by granting their inferior function control over their decision-making. So instead of patiently abiding in their Ne-Fi process, they allow their Si to take precedence, deferring to what is comfortable, familiar, or easy. Unfortunately, they may later come to regret their failure to grant themselves more time to fully flesh out their Ne-Fi values and interests prior to making such huge commitments. ENFPs are notorious for their broad interests and dilettantish ways. They are among the most creative personality types, displaying a love for the arts, music, and culture. While also enjoying intellectual or theoretical discussions, this is typically of lesser concern that it is for their ENTP counterparts. Perhaps more than anything, ENFPs hate being bored or stifled. This compels them to seek partners who are interesting, curious about the world, and open to new ideas and experiences. They want a mate with similar values who is willing to accompany them wherever life leads. Compatible perspectives on family, children, politics, religion, etc. are also important to ENFPs, as they are in most relationships. Early in their type development, ENFPs may be attracted to the stability and consistency of SJ types (i.e., ESTJs, ISTJs, ISFJs, ESFJs), especially those who display similar values and worldviews. This is due to the fact that SJs outwardly embody the ENFP’s own inferior function (Si), which they instinctively sense is an important element in their journey toward wholeness. 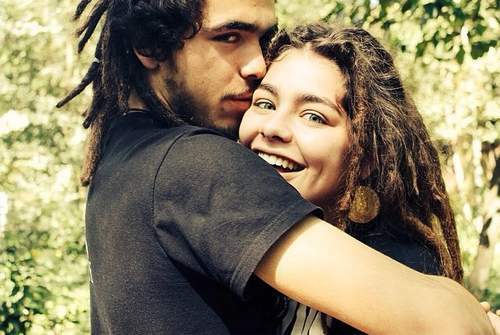 And while ENFPs may experience satisfying relationships with SJs later in life, following years of growth and development, pairing with SJs in their younger years often proves unsatisfying, once the initial infatuation has worn off. It may even stifle the personal growth and type development of both partners as they go about “crutching” each other’s inferior function. ENFPs may also find themselves drawn to SP types (i.e., ESFPs, ISFPs, ESTPs, ISTPs). On the surface, SPs can resemble ENFPs as far as their penchant for outer novelty. For instance, both types may enjoy travelling and a diversity of entertainment. Whatever their first-blush similarities, however, ENFPs differ in important ways from SP types. As Intuitives, ENFPs are more concerned with openly exploring the meanings and implications of their experiences than SPs are. They love to discuss their perspectives and ideas. SPs (especially ESPs), by contrast, tend to be more interested in actions, sensations, and appearances (Se) than they are in exploring the ideas, motives, or meanings behind them. This can be a source of frustration for both types, with the ENFP yearning for more meaningful conversation and the SP seeking more physical action or sensory stimulation. While NJs are the rarest of all the personality types, ENFPs may find such pairings stimulating and satisfying. They may be especially drawn to an INTJ or ENTJ, with whom they share the Fi-Te function pair. Like ENFPs, INTJs display great curiosity toward the world. Both enjoy discussing ideas and potential ways of improving the world. One potential hang-up, however, could involve the INTJ becoming impatient with the ENFP’s seeming inability to focus or concentrate. Since INTJs (as well as INFJs) love discussing things at great depth, they may become frustrated with the ENFP’s ostensible restlessness or distractibility. This is one reason ENFPs may fare better with ENTJs. ENTJs are not quite as deep or theoretical as INTJs and may be less inclined to frustration with the ENFP’s restlessness. ENFP-ENTJ pairings can enjoy meaningful conversations as well as a shared extraverted perspective on life. ENFPs can also find great resonance with other NP types. When their partner shares their love of all things Ne, there is rarely a shortage of things to discuss. NPs also tend to prefer similar lifestyles, tending toward minimalism (Si) rather than materialism (Se). Of all the NP types, INFPs may be the best match for ENFPs, possessing all the same functions, only in a slightly different order, just enough to keep things interesting. The E-I difference can also be complementary, allowing the ENFP to do more talking and the INFP more listening. With all that said, ENFPs can enjoy satisfying relationships with any personality type if both partners are committed to personal growth and effective communication. Much of my post on INFP & INTP Relationship Difficulties can also be instructive for ENFPs, including things like understanding the difference between relational health and relational harmony, learning to directly voice their concerns and grievances, and foregoing the temptation to act passive-aggressively.